A delightful surprise arrived last week in the form of the most gorgeous snow anyone has seen in recent memory. Absolutely huge snowflakes drifted slowly to the ground, swirling in a graceful dance as they gently covered the ground in a matter of hours. Regardless of the inconvenience, it was beautiful beyond belief. Several days later, as the snow melted, the daring Daffodils could be seen in the bud, boldly telling us Spring is indeed just around the corner. Daffodils are among the first to arrive at the garden party, ushering in the joy of spring with their shiny faces. They have so few requirements that they may be successfully grown by anyone… even novice gardeners and children will be enthralled by their ease. There are early, mid, and late blooming varieties and the colors range from traditional yellow to apricots, and even whites. Planting some of each will allow for a continuous show all spring. 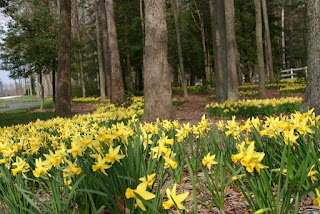 Daffodil bulbs multiply underground and over time become truly spectacular if left undisturbed. One bulb eventually becomes ten or more so they should to be planted with enough room to spread. A large bag of Daffodils will not break the bank either and for this reason they are perfect candidates for a process called ’naturalizing’. Naturalizing is a show of blooms that has been left undisturbed until over time the bulbs have evolved into a large and spectacular show. 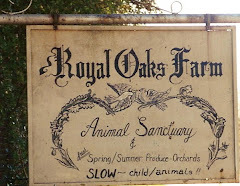 The site chosen may be at the edge of a field or orchard, on a hill, or any random unexpected place a spot of spring beauty will be appreciated. 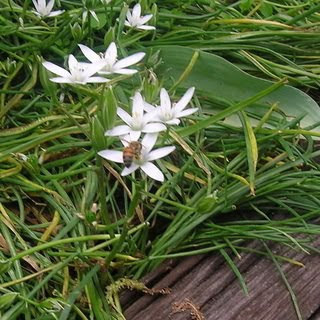 To naturalize with spontaneity, randomly toss the bulbs and plant them where they have landed… children love this unexpected fun and will be eager to help. 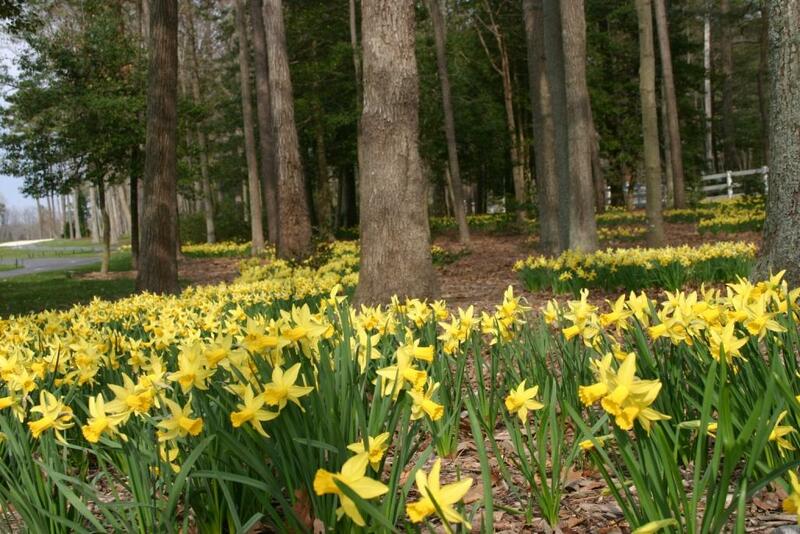 Or choose to plant in swirling drifts, so the blooms seem to be drifting as a sea of early color… a large display of daffodils is truly show-stopping. 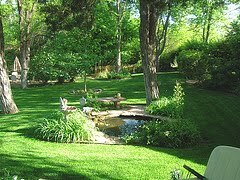 The area chosen for naturalizing bulbs needs good drainage but since Daffodils bloom before foliage appears, sun light is not a factor and they may be planted under trees. Plant six inches deep and allow for their expansion. 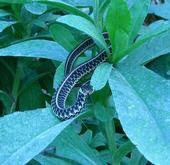 Following blooming the foliage must be left for six weeks or so to collect and store energy for blooms the next year. 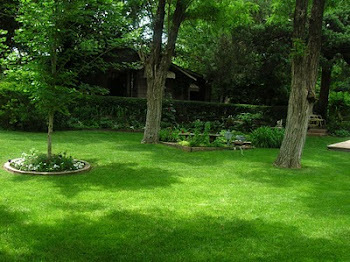 It may be cut or mowed once it has dried and become brittle, for the bulb no longer needs it.